There is a lot to consider when choosing a birthday party venue in Los Angeles—will there be enough room for my guests? ; does the venue provide catering or will I need to arrange my own catering services? ; can I change the room’s decor and lighting color? ; is there enough room for a DJ? ; where will my attendees park? Luckily, at De Luxe Banquet Hall’s family of fine venues, we provide the perfect space for any size or type of event and make the birthday party planning process easy. For more information on De Luxe birthdays and other social events, or to schedule a tour of our luxurious facilities, contact De Luxe Banquet Hall today! Capable of accommodating up to 420 guests, the gorgeous De Luxe Ballroom is the ideal place to host birthday parties with large guest lists. 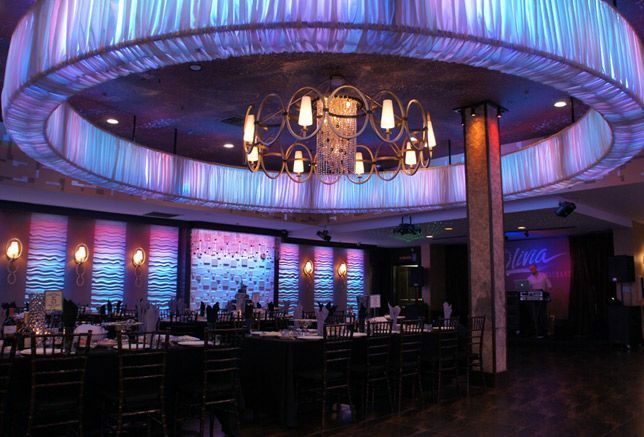 The event venue’s expansive dance floor is ideal for entertaining young people at coming-of-age celebrations like Quinceaneras, Sweet 16s, and 21st birthday bashes, while the optional video projection equipment is perfect for reflective video montages during 40th, 50th, and 60th birthday celebrations. If feeding your attendees is a concern, De Luxe Banquet Hall’s on-site catering services provides a number of flexible options. Great for small, non-milestone birthday parties, the cozy De Luxe Lounge can comfortably accommodate up to 55 of your closest friends, family members, or work colleagues! A beautiful setting for intimate, private dinners, this relaxing event space also offers De Luxe’s great catering, lighting, and decorating options, as well access to our full bar and professional servers. Though the Lounge does not have it’s own dance floor, the spacious floor plan gives guests plenty of room to move around. Adjacent to De Luxe’s other extraordinary event venues, Olivia Restaurant is an elegant mid-size event venue with space for up to 150 guests. The perfect option for birthday parties that are too large for the Lounge and too small for the Ballroom, this unique space offers on-site catering, customizable ambient lighting, optional live entertainment, and De Luxe’s famous service standards, all in a breathtakingly decorated venue!